While the carnival starts in Rhineland on November 11, 2017, 111 horses will show up for the Verden auction in the Niedersachsenhalle. A top-class selection of riding horses will be put up for sale as of 02.00 pm. The extensive offer includes horses for sport and pleasure riding purposes, for ambitious tournament and amateur riders or relaxed pleasure riders. Every horse enthusiast will find his perfect match in Verden. As luck would have it, there will be 111 carefully chosen riding horses in total offered for sale on November 11. The mare Lucy Dynamik was discovered in Verden by her owner Pauline Knorr. 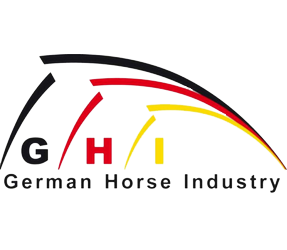 Helmut Urban purchased the Luganer/Dynamo-daughter with auction no. 88, bred by Trine Dyhre Nielsen, Denmark, for Pauline Knorr exactly three years ago. 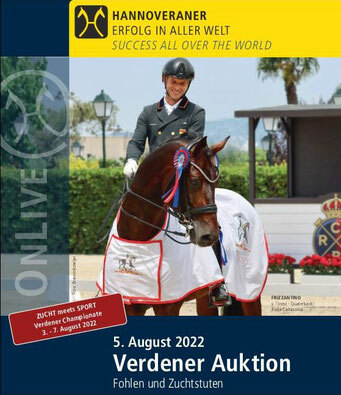 Horse and rider are an up-and-coming, promising duo in eventing sport and cover heroes of the Verden auction in November. The auction collection features 75 dressage and 36 show jumping horses, descending from 74 different stallions. 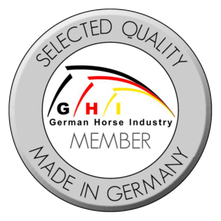 Celle state stud stallions dominate the collection: Quaterhall presents six progeny, followed by Spörcken and Londontime with each five offspring. The auction horses will arrive in Verden on Monday, October 30. Training will start on Tuesday, October 31, providing opportunities for potential customers to ride the horses after prior arrangements made with the customer advisors. The auction will start on Saturday, November 11, as of 02.00 pm. Tickets are available in advance with www.ticketmaster.de as well as in Verden at a price of Euro 10. This seal stands for experience and reliability! The Verden Auction in April was as colourful as the spring. The fine selection of auction horses was as colourful and varied as the numerous spotlights that bathed the Niedersachsenhalle in colourful light.